Well, here's one from the archives that really cracked me up. It clearly answers the question I am often asked by new clients: “How often should I inspect my parapet walls?” The answer to that question is annually. 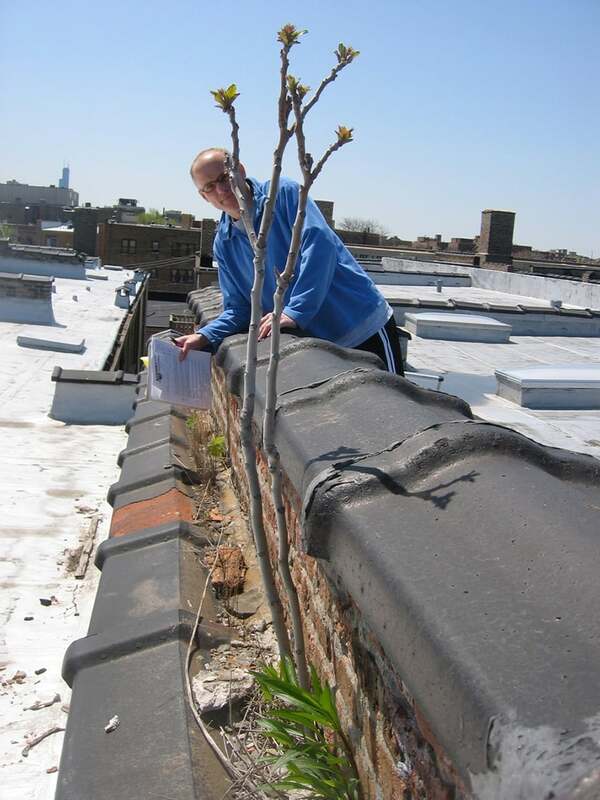 This photo above taken in the Bucktown neighborhood of Chicago shows how failing masonry and open mortar joints on a deteriorated parapet wall 50 feet above the ground has served as ideal growth medium for a TREE. Yes, a tree! If a tree can take root in the side of your building’s parapet wall, then chances are very good your building could use some masonry TLC…and quickly! In this particular case the tree roots were over one foot long and had grown deep into the wall’s mortar joints, which helped to explain how wind-driven rain was able to infiltrate the masonry and damage the top-floor ceilings and walls. Consequently the wall was dismantled and rebuilt, and the water issues were resolved. In the course of our work day we wear many hats: building advisors, home inspectors, licensed masons, project managers and, occasionally, landscape architects. We enjoy helping owners diagnose and address their masonry issues and in the process teaching them about how to maintain their masonry structures and avoid situations like this one. Wishing you all a safe and happy Thanksgiving!